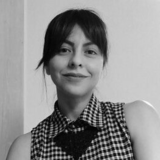 Maria Dolores Arteaga Villamil added interests Family Transformations in Mexico, Intersectionality of Gender and Class Relations, Feminist Methodologies and more. Maria Dolores Arteaga Villamil changed their profile image. Maria Dolores Arteaga Villamil updated their profile information.